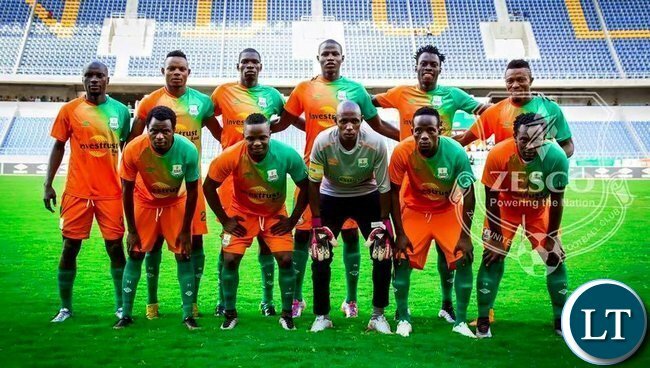 Zesco United showed true championship character at home on Saturday when they rallied beat early season pacesetters Power Dynamos 2-1 to end coach Kelvin Kaindu’s unbeaten start at the helm of the visitors. The away loss at Levy Mwanawasa Stadium in Ndola brought to an end Power’s five-match honeymoon that saw them stay in command from week one until this weekend when they dropped to second. Kelvin Mubanga put Power ahead in the 6th minute as the visitors took command of the first half. But Power goalkeeper Joshua Titima pulled out all the stops in the 41st minute to make a dramatic double-save to deny Lameck Banda and John Chingandu. However, Zesco returned from the break with their tails up and Lazarus Kambole struck twice in the 49th and 65th minutes to send the hosts to second place tied on 13 points with Power who drop to number three. Green Buffaloes are now three points clear of the pack on 16 points following a 2-0 home win over Green Eagles at Edwin Emboela Stadium in Lusaka. Moonga Chilimba and Friday Samu’s goals ensured Buffaloes stayed unbeaten and stealthily sitting at the top of the table until next weekend’s week seven games. Meanwhile in Lumwana, Nkana collected their first win in three games following a 3-0 away victory over Lumwana Radiants who are coached by their former trainer Zeddy Saileti. Bornwell Mwape put Nkana ahead in the 38th minute, Idris Mbombo added the second in the 76th minute before Allan Kapila handed them the third via an 85th minute own goal. Nkana are 6th from 9th on 10 points after the win over 15th placed Lumwana who trail on 5 points. Aka Red. Not aka ma arson! ZESCO’s second goal seemed suspiciously like it was scored from an offside position by Kambole. Referees need to be more vigilant or they will spoil a game. Well done the crampers! Ba arrows naimwe sure even after coming from Spain nothing seems to be working! Bring back young arrows.